The AFP BBQ Scrumptious Sausages toys are lovely soft faux fleece cuddly toys that your dog will absolutely love. The cuddly toy looks like a tasty BBQ snack. What's even more appealing for your dog is that every sausage has a squeaker inside it. The AFP BBQ Scrumptious Sausages toy is a super soft faux fleece cuddly toy for dogs. Your dog will love cuddling with this toy. What's more, the AFP Scrumptious Sausages has a tasty BBQ look that your dog will love. For extra appeal, each sausage has a squeaker to stimulate your dog even more. 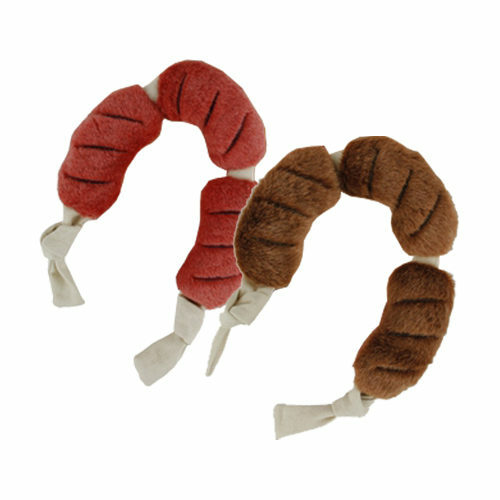 The All For Paws BBQ Scrumptious Sausages is an ideal indoor toy. Have you used AFP - BBQ Scrumptious Sausages before? Let us know what you think about this product.